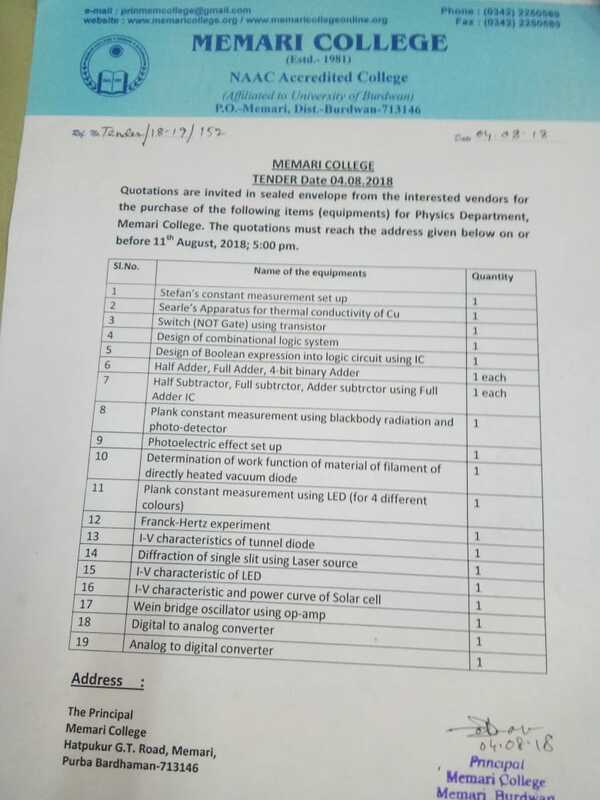 It is hereby notified that the Chemistry General Sem-II Practical Examination will be held on 01.09.2018 at 10 am in Science building, Memari College. The students are informed to contact with the Department (Chemistry) for details. The candidate is permitted to select only two elective combination subjects out of the enlisted elective combination subjects against the Honours subject for whom he/she is declared eligible. 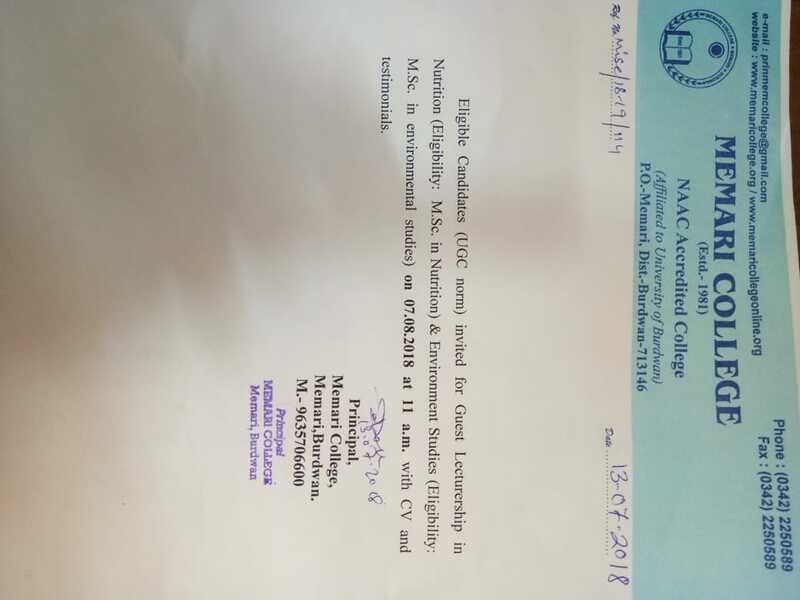 In no case he/she is allowed to select two elective combination subjects each one from two different Honours subjects or from the list against the Honours subject for which he/she is not declared eligible. Further, they are also directed to follow the restrictions given below. Geography Math. Statistics Beng. Hist. English Pol.Sc. Phil. Sansk. Econ. Bengali English. History Pol.Sc. Phil. Music Econ. Sansk. English Econ. History Pol.Sc. Bengali Phil. Music Sansk. Education English History Pol.Sc. Bengali Econ. Sanskrit Music Phil. History English Sanskrit Pol.Sc. Bengali Phil. Music Econ. Pol.Sc. English History Music Bengali Econ. Sanskrit Phil. Sanskrit English History Pol.Sc. Bengali Econ. Music Phil.